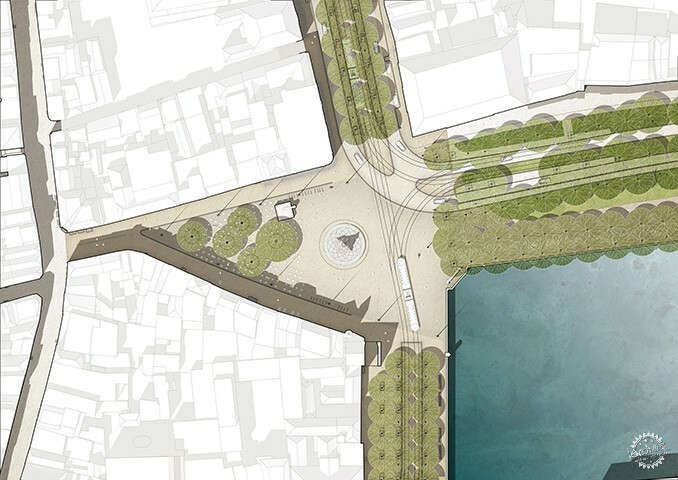 The route; Spui, Buitenhof, Plaats and Lange Voorhout will be transformed into a world-class and inviting inner city making it possible to connect different inner city quarters to the Binnenhof palace area, the parliament of the Netherlands. 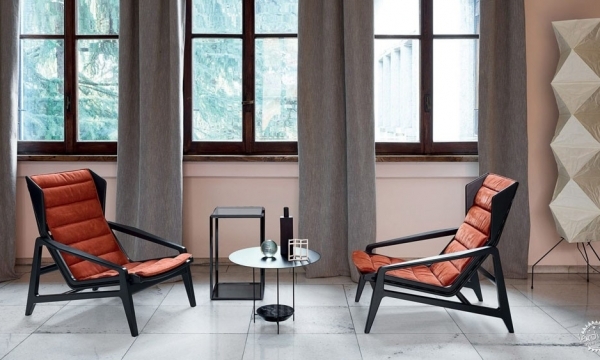 This extensive investment in the city center will mark the final piece of the 1987 renovation plan of the entire inner city of The Hague, also designed by Bureau B+B. 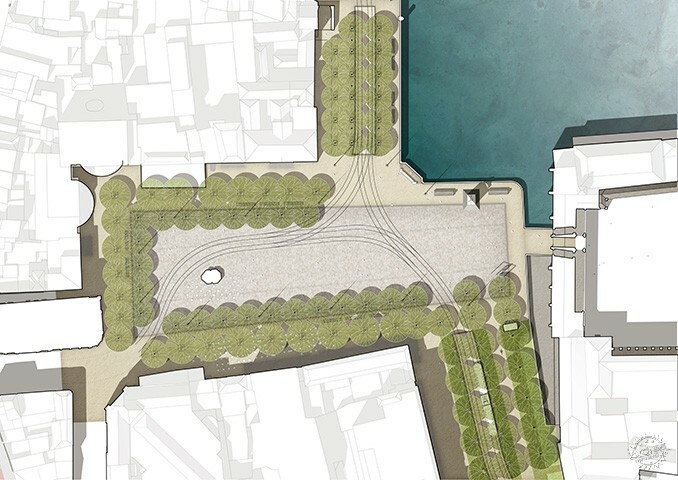 With the expansion of the pedestrian zone the opportunity emerges to restore the original sequence of urban spaces. 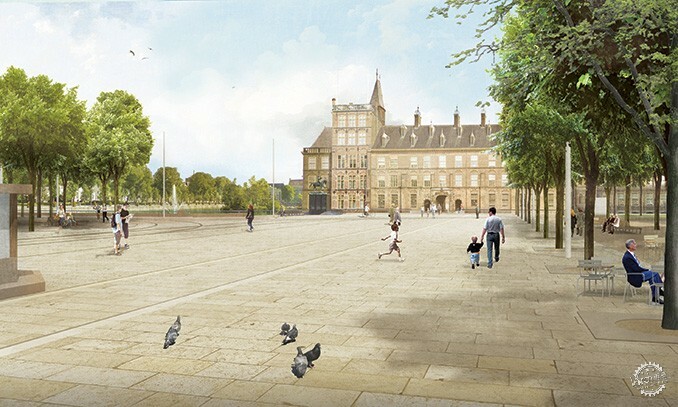 The goal is to update the inner city to the standards of today by building on the intrinsic qualities of its origin; the Buitenhof as an urban stage in front of the Binnenhof, Plaats as a gate between the museum quarter and the shopping district and the Hofplaats as an outdoor Agora in front of the heart of the Democracy. 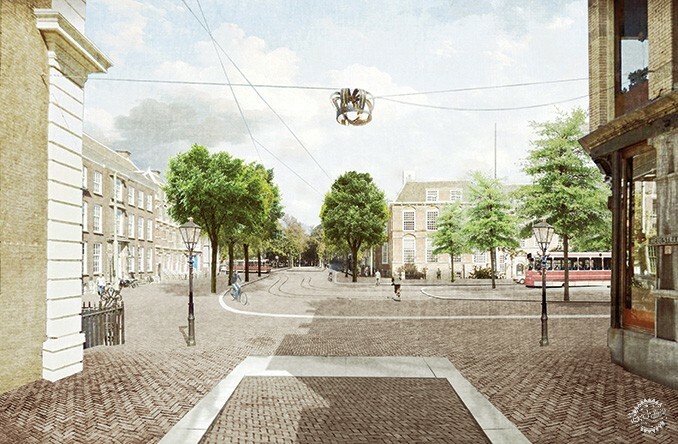 By extensive spatial and cartography reading, Bureau B+B dissected the development of the urban tissue of the inner city of The Hague, as a form of Urban Anatomy. The goal was to develop proposals for enriching the economic climate, orientation, places to stay, and readability of the inner city. 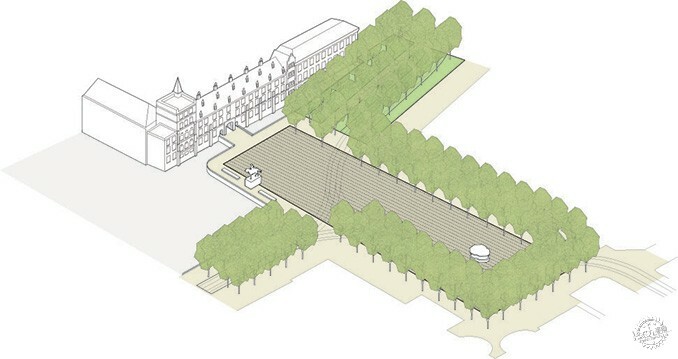 The design for Plaats focusses on expanding the square and connecting it to the palace’s water in order to function as a fully-fledged entrance of the pedestrianised sequence of urban squares that follows. 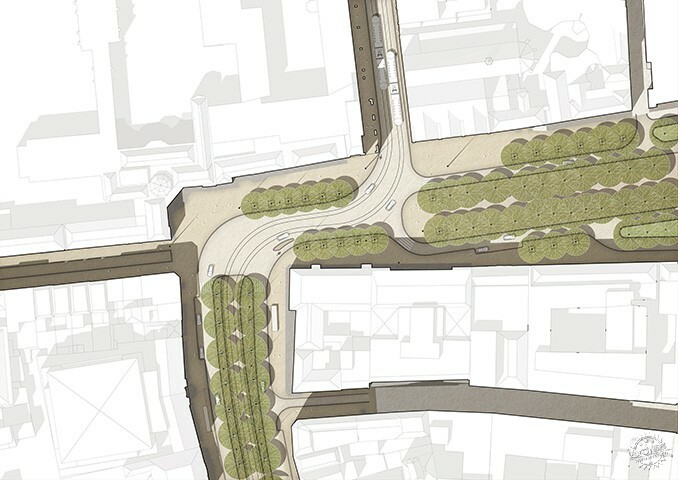 The square is expanded significantly by leading the ongoing traffic around the corner. 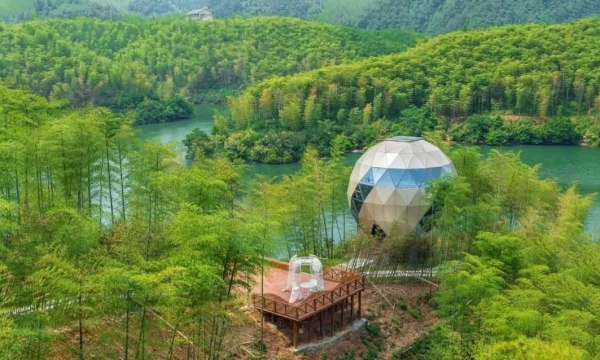 Furthermore, the square will, on top of being a place for terraces, also become a green square because of the addition of trees on the edges of the space. 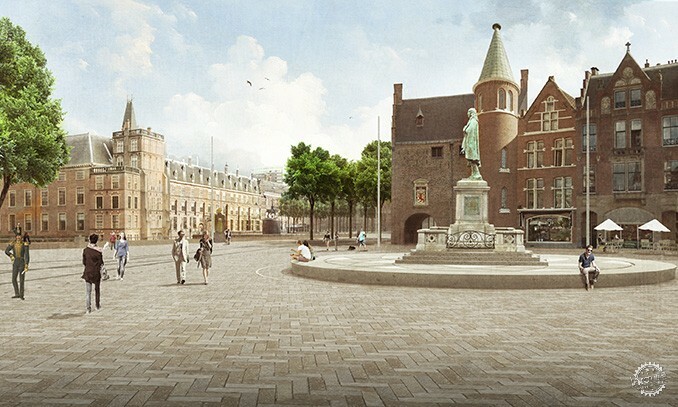 The statue of the historic statesman Johan de Witt will be raised and put on a grand urban stage becoming the centrepiece of the square.